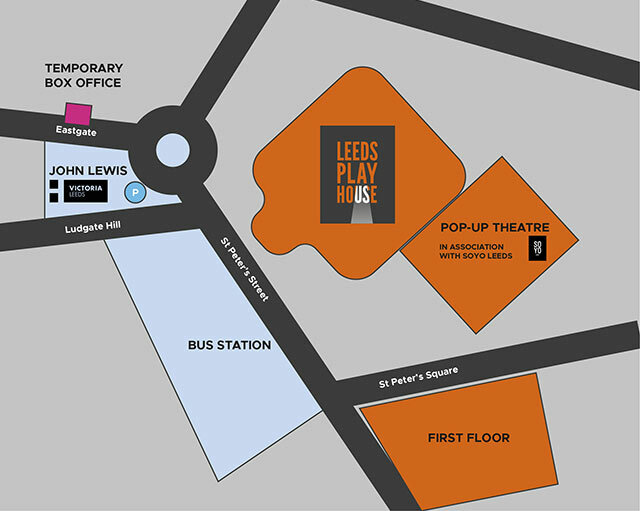 Leeds Playhouse is committed to developing a large, noisy space for playwrights and new writing. Our aim is to nurture bold, new voices and to share and showcase rich, diverse stories about how we live in Leeds, in Yorkshire, and in the world. Our writer development programmes offer opportunities to writers born, raised, or currently living in Yorkshire to connect, to learn and share skills, and to receive bespoke dramaturgical support. The School of Performance and Cultural Industries (PCI) at Leeds University and Leeds Playhouse work together to build links between the Playhouse’s Writer Development programmes and the University’s Masters Course, Writing for Performance and Publication, with Playhouse staff delivering course content, students taking part in workshops and a number of placement opportunities. Revolution Mix is an ambitious three year project aiming to act as a catalyst for permanent change in British theatre through the largest ever delivery of Black British stories in regional theatres on the middle scale. Led by Eclipse Theatre Company and Artistic Director Dawn Walton, Leeds Playhouse is proud to be a partner in this major new initiative and has offered dramaturgical support to the writer Maurice Bessman and is delighted to include Andy Brooks’ play Black Men Walking in our Spring 2018 season. Write to Play is a new initiative to cultivate and promote unheard voices, championing new work by disabled playwrights led by Graeae Theatre. Working in partnership with the UK’s leading new writing venues, Graeae provides training and mentoring so that writers can each develop one full-length play. The programme is now in its fifth year. In Year Three, Leeds Playhouse was a partner alongside Hull Truck and Newcastle Live and supported writers Rick Poppa, Bex Bowsher, Sarah Gonnet and Sarah Jane Dickenson.